The Supreme Court of Nigeria on Friday January 18 ordered the immediate payment of all salaries and allowances of the member representing Igalamela Odolu Constituency, Comrade Friday Sani Manama. Our Kogi State Correspondent reports that the Assembly had on Tuesday March 28, 2017 suspended the lawmaker on matters relating to anti-legislative activities. This followed a matter of public importance in the House raised by Hassan Abdullahi Bello of Ajaokuta Constituency, who accused Makama of bringing the image of the House to public disrepute. The lawmaker had dragged the Assembly to court for allegedly defying the House rules on election of Minority Leader and his subsequent suspension. 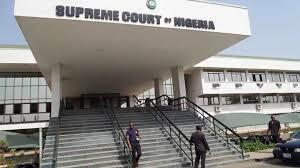 The apex court in its ruling on Friday ordered his reinstatement back into the House and also awarded one million naira each to all the parties involved in the matter. It would be recalled that, a similar judgement was given in favour of the Kogi lawmaker as a Kogi High Court sitting in Lokoja on June 29th 2017 set aside the suspension of Friday Sani Makama by the State House of Assembly. Justice Henry Olusuyi in his judgment delivered in Lokoja, described the suspension of the lawmaker as an act of legislative insolence which would not be allowed by any competent court of jurisdiction. The court maintained that the March 28 suspension of the lawmaker following which he approached the court to seek redress was “invalid, illegal and unconstitutional”. Olusuyi held that the claimant had the right to sue the first defendant (Kogi House of Assembly) if he felt the legislature unjustly suspended him. He noted that a member could however be suspended when found wanting under the provisions of the House Rules 37 to 39, which according to him, is not related to the case in view. The presiding Judge ordered the rights and privileges as well as entitlements of the claimant as a member of the House be given to him.